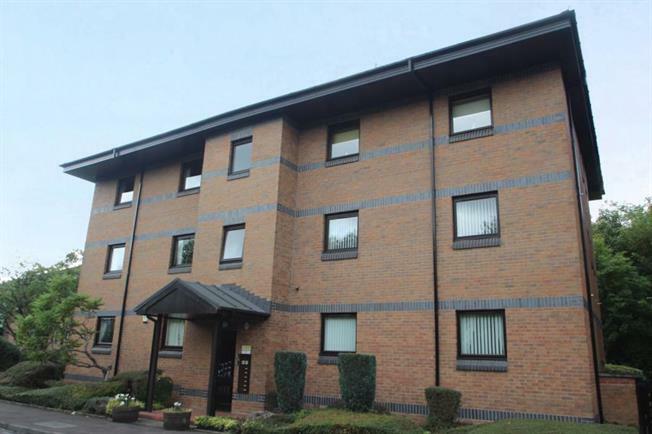 2 Bedroom Upper Floor Flat For Sale in Paisley for Offers Over £120,000. Located within one of Paisley's most sought after flatted developments, this well presented top floor flat must be viewed to be fully appreciated. This beautiful property comprises of a welcoming and generous reception hall leading into a spacious lounge with access out onto a rear facing balcony benefiting from views over the attractive communal gardens. The dining sized kitchen offers ample storage and a range of freestanding appliances are also included in the sale. There are two double bedrooms with the master bedroom incorporating an en suite shower room and fitted bedroom furniture. Bedroom No.2 also benefits from extensive storage in the form of fitted wardrobes and this room is currently being utilised as a dining room. The accommodation within this impressive property is completed by a quality bathroom. The specification extends to white meter heating, double glazing, a floored attic, allocated parking and professionally maintained gardens. Paisley itself offers excellent local amenities with first class shopping, schooling, sporting and public transport facilities (both buses and trains). Internal inspection of this superb property is highly recommended.